Can you name the sport where failure is the goal? No seriously, there is a sport that revolves around failure. The athletes in this sport strive for it every day - they work very hard to FAIL. These athletes only truly succeed when they FAIL. 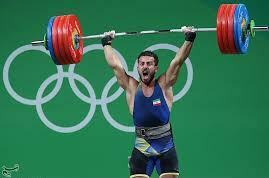 Weightlifting involves lifting weights until you cannot do another repetition. You muscles FAIL – and then what happens? You muscles will repair themselves with the protein out of the food you eat. Your muscles get harder, leaner, bigger and most importantly stronger. The same is true for your bones. You break a bone and as long as it is set right the bone will repair itself and get stronger at the point of the break. If you break that bone again it will not be at the same point. Because the point it broke the first time is now stronger than anywhere else along that bone. Don’t you wish your organization was like that? It would just repair the weak spot on its’ own? Use the failure to make your organization stronger? Many organizations have employee turnover which is constantly take a toll on the people and the organization. Are you losing people faster than you can replace them? Do you have chronically open positions which you just never get filled? Do you have a skills gap which only seems to get worse? There is a way out and you can get better and stronger. When I was younger I would lift weights and not see the results I was looking for. Then I went to the gym with a friend who truly knew how to lift weights and get the desired results. He showed me how to use sets, repetitions, different exercises and weight progressions. However, the most important thing he showed me was exactly how to position my body to get the maximum benefit out of each and every repetition. He showed me how to properly do the exercise and I quickly found I could not do as many repetitions or as much weight when I was doing the repetition the proper way. However, when I started doing it the right way - I obtained better results faster and I was back to my old weight and repetitions in short order. The better results also set me on a path to get to a level of weight and repetitions which I had never thought possible in the past. Would you like to see real progress in regard to your employee turnover, chronically open positions or skills gap? Real results obtained quickly, at a high ROI and sustainable into the future? Sounds like you need a friend.